The importance of financial literacy and education cannot be overstated. To secure an independent future for young people and children, as well as the financial readiness and security of a nation, the understanding of credit cards, loans, checks, balances, and saving for the future, are vital. But rare is the school that teaches their young students about dealing with their own finances. In this blog, we’ll take a look at the reasons for educating our young people about dealing with money. Prior to proceeding further, we need to first have a working understanding of what we mean by the term financial literacy. Generally, financial literacy is the understanding of how money “moves”. This is not to say that a person is financially illiterate if they can’t offer details of the Japanese Nikkei. But for long-term financial security – more pressing when a young person becomes independent – knowledge about how to save, budget, or even invest, is necessary. What tax is, why it’s taken, and how it is calculated are parts of the same puzzle. As are mortgage rates and the credit system. These are just strands of the financial system that most people use regularly in their lives. Each generation is living longer than the last thanks to the miracles of modern medicine. But this victory for science means that the individual citizen is tasked with finding the money for long-term care. Grocery shopping, entertainment, paying the gas bill. All of these things will have to be funded for a longer period than we have so far been accustomed to. And how does the individual find the money for this? In 15 less than 20 years, the number of retirees will almost double to 79 million. With the help financial literacy, individuals are able to save and prepare for their retirement. Now more than ever, financial decisions we make in our young lives are having repercussions for our later years. Financial education offers the best hope that the younger generation makes the right choices. Connected to the fact that we are all living longer is the reduction in aid that many citizens would have expected to receive from the government. Social Security used to be a foundational part of retirement planning for many Americans but with the news that Social Security could be depleted by 2035, we know that the support it can offer to future elderly citizens will not be half as useful as it once was. Social Security is unlikely to cover much more than the groceries in years to come, so the need for the individual to take more personal responsibility for their long-term financial health is pressing. Who knows what Ethereum is? How about Ripple or Monero? Surely, you’ve all heard of Bitcoin? .Disruptive technologies like cryptocurrencies are changing the landscape of finance and forcing traditional banking into a rethink. Traditional banking and financial institutions are reacting against and looking out for the advances in digital assets. Indeed, blockchain could change the world economy. In such a rapidly changing financial environment, basic financial literacy allows individuals to keep track of changes and understand what those changes mean. When having to make more moneyrelated decisions than ever, a little know-how goes a long way. Those unfamiliar with how loans and credits are agreed are more likely to pay out in charges. They borrow more from banks and are less likely to be wealthy. Financial literacy can really help individuals climb the ladder. According to the Federal Reserve, the average American household carries a debt of more than $130,000 despite having an income of just over $59,000. Of course, buying homes, funding college, and having children all tend to be periods in which a person accumulates debt. But the average amount of debt being so high is a very major concern. 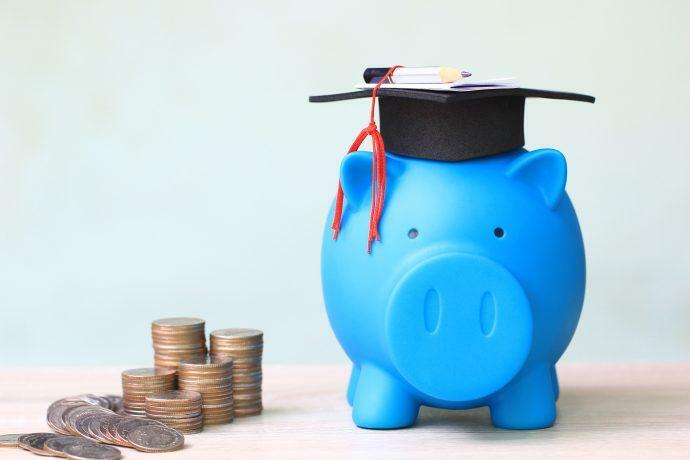 Financial literacy and education can help to instill discipline in spending and a better understanding of the consequences of poor money management so that more Americans are able to live their lives debt free.